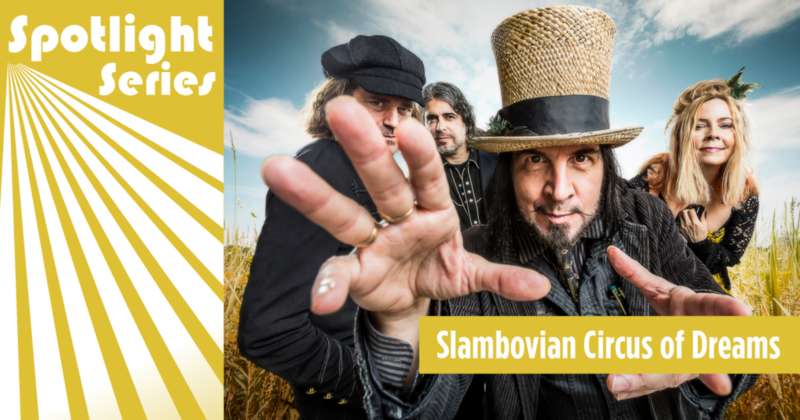 In just a few hours, “Hillbilly-Pink Floyd” rockers, the Slambovian Circus of Dreams will electrify the Levitt AMP Utica stage with their one-of-kind Americana! Hailing from the Hudson Highlands of New York, the group has been dubbed “The Hudson River Valley’s best kept secret” by Jam.Base.com, for good reason. Performing together for more than a decade, the group has found their niche in surreal and playful performances—bringing audiences an eccentric fusion of Americana meets rock meets folk meets blues. With an eclectic repertoire ranging from gentle ballads to sweeping cinematic style anthems, the Slambovian Circus of Dreams takes audiences on a colorful journey, complete with quirky costumes, surprising props and a heartfelt nostalgic sound. The result is simultaneously familiar yet original…and is bound to make for a memorable evening. If you’re in Utica tonight, be sure to stop by Kopernik Park and experience the music The New York Times describes as “imbued with mystical stirrings and idealism.” To get you in the mood for tonight’s show, here’s a video of the group in action—enjoy! This entry was posted in Levitt Artists, Spotlight Series and tagged Levitt AMP Utica, Slambovian Circus of Dreams on August 6, 2018 by Nicole McGaffey.